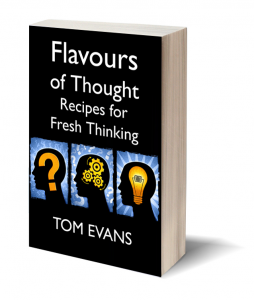 Flavours of Thought started as a chapter in the light bulb book and has spawned into a book in its own right. Not only that but the most amazing sequels to Flavours are coming along too … watch this space. It is a book of transformation. We go about our days not giving our thoughts a second thought. This is a real shame as our thoughts fundamentally changes the world around us. In Part 1 of Flavours of Thought, our thoughts processes are divided into groups of three, namely Ethereal Whispers, Unconscious Murmurs and Directives. Each group is then further divided into seven flavours. By thinking about our each of our thoughts as having one of these 21 flavours, a transformation happens. We start to realise we are not a slave to them anymore and they will yield to our will and direction. 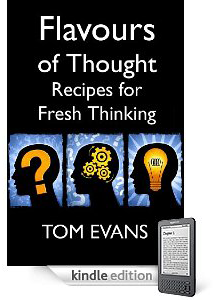 Part 11 of the book, Recipes for Fresh Thinking, then shows how these 21 flavours can be combined into 21 sample recipes (there are billions of other permutations) to tackle common issues like self-anger all the way through to finding your soul path. The simplicity of this book belies its power as it is crafted from ancient wisdom but in a modern context. I have used the most amazing new site to publish the print version called CompletelyNovel. It took just a few hours to go from Word document to published book. For those of you with ereaders or smartphones, the book is also available via the Amazon Kindle store for the Kindle, iPad, iPhone, Android and Blackberry. In fact, the book has been written with the iPhone in mind and it is optimised for reading on the small screen. 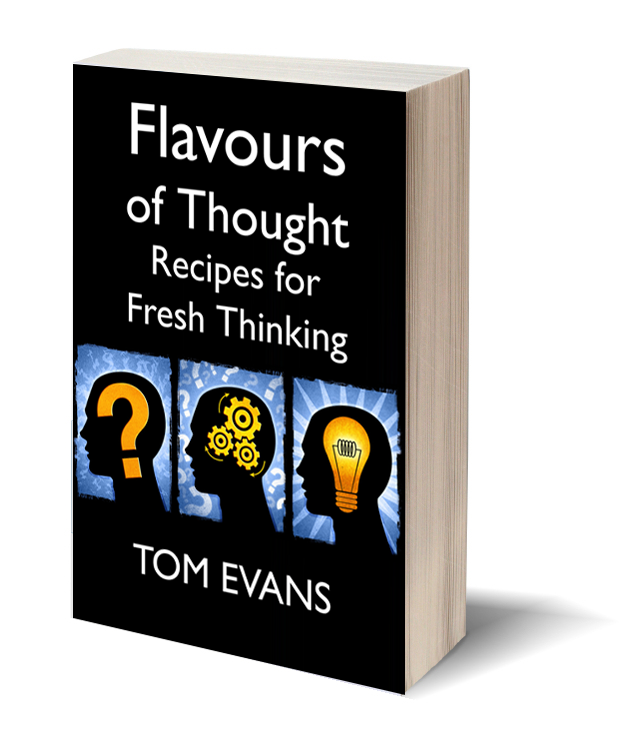 See the Flavours of Thought Facebook page more recipes and new flavours. – Direction: Who’s Driving The Bus? Email me at flavoursofthought@me.com or contact me here if you would like advanced information or to book me for a private recipe session.